We love the ethos behind this blog. Quirky Girl Studio is aimed at young people, and the main message is to be yourself. Well, you have to be yourself as everyone else is already taken. Fizzy has been inspired by her mum who also blogs, but would love to connect with any other tweens or teens who blog. 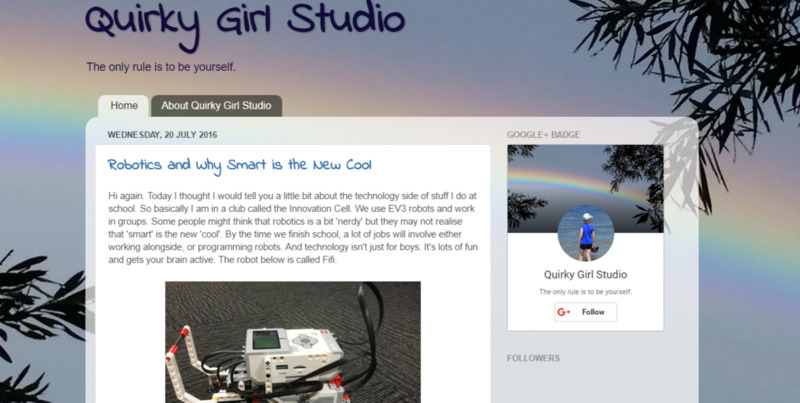 So go find Fizzy by visiting Quirky Girl Studio now and maybe say hello by leaving a comment. You can also follow Fizzy on Instagram over here. 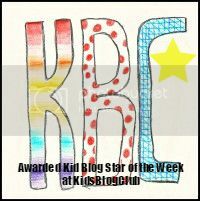 Thank you so much for featuring me as your kid blog star of the week. I really appreciate it. Good work fizzy.I want some traffics to my blog. Hello! And congratulations Fizzy for being featured. Thanks for your support everyone. 🙂 I really appreciate it. Hey! Congrats Fizzy! I was wondering if my maybe my blog Hot Town Cool Girl could be featured. It was featured once before but my blog has changed a lot since then. I have grown and so has my blog! You can find my blog at http://hottowncoolgirl.blogspot.com/.